In a basement lab at the Imperial College London (ICL), a group of researchers led by Andrew Hammond are on a mission to wipe out malaria. The scientists are funded by the Bill & Melinda Gates Foundation and are using a technology called gene drive – a souped-up form of genetic engineering designed to wipe out the mosquitoes that carry the disease. The lab contains cages of mosquitoes modified with the gene drive, along with an additional gene that makes their eyes and other body parts glow red under laser light. Gene drive is a revolutionary technique which enables genetic modifications to spread like wildfire throughout a community. While gene drive is promising, researchers say it also dangerous and could create unintended consequences, such as epidemics and famine. Genetic engineers have known for decades how to genetically engineer nearly any organism, from simple bacteria to larger creatures. Researchers are trying a revolutionary new approach called gene drive which is a turbocharged version of genetic engineering. It gets its name because it can drive a gene through an entire species with unprecedented speed. Gene drive is designed to spread — and to spread very quickly. Typically when two animals mate, their offspring inherit two copies of a gene, one from each parent. Scientists at UC San Diego stumbled upon gene drive when they figured out a way to use CRISPR-Cas9 in fruit flies to change one of these copies into the desired copy of the gene. The resulting flies received two copies of the desired gene, ensuring it would get passed on to any offspring they had. Scientists can apply gene drive to any species, such as mosquitos. Using the technology along with CRISPR, a tweaked gene will spread rapidly through an entire population. The Gates Foundation-funded team led by Hammond uses CRISPR to genetically engineer the Anopheles gambiae mosquito. Nearly all of the offspring of the genetically modified mosquitoes inherit mutations that block out the genes females need to make eggs. By sterilizing the females, the researchers can eliminate an entire mosquito population without affecting the mosquitoes that can’t transmit malaria. 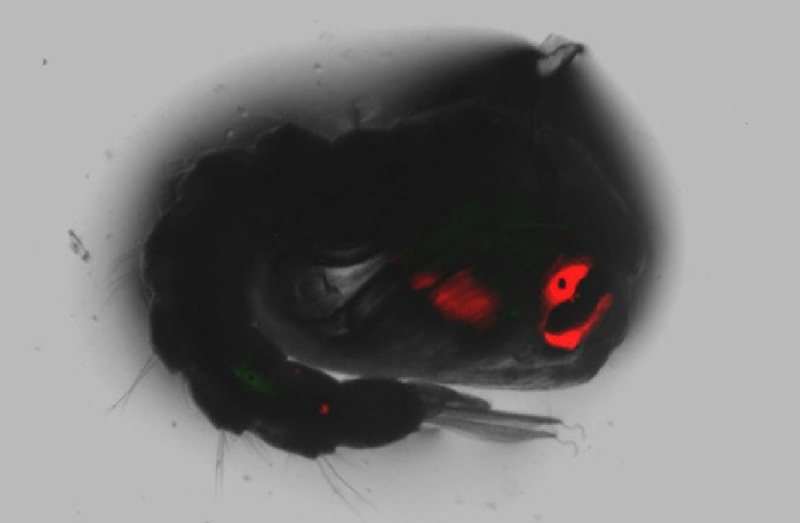 Besides a gene drive, Hammond’s colleagues also insert a gene that makes the eyes and other parts of the mosquito’s bodies glow red under laser light. That way, the researchers know if the gene drive modification has taken hold, and which mosquitos carry the desired gene. Lab techs are conducting mosquito research in Tanzania. Image courtesy of the Bill & Melinda Gates Foundation. Hammond’s work to eradicate mosquitoes is only one of the many projects funded by the Bill & Melinda Gates Foundation that are focused on the goal of eliminating malaria. Given that more than 400,000 people die every year from the tropical parasite, gene drive has enormous potential. However, the technology also poses tremendous risks. The Bill & Melinda Gates Foundation has committed nearly $2 billion in grants to directly combat malaria, along with a commitment of more than $1.6 billion to the Global Fund to Fight AIDS, Tuberculosis, and Malaria, which provides about half of the international funding for malaria control worldwide. In nature, genetic mutations in a single copy of a gene are almost always lost, because most mutations are defective. As a result, any animal that gets two copies is unlikely to survive and reproduce. However, researchers found that under the right conditions, introducing a modified gene can spread to the entire population very quickly. In a recent study, researchers at Cornell University created a mathematical model for how quickly and extensively a gene drive modification spreads through a population. The findings of the Cornell researchers were disturbing. It took only a few tens of generations for the modified gene to become widespread in a population. By comparison, a naturally occurring genetic mutation could take hundreds of generations to reach the same prevalence, the researchers said. 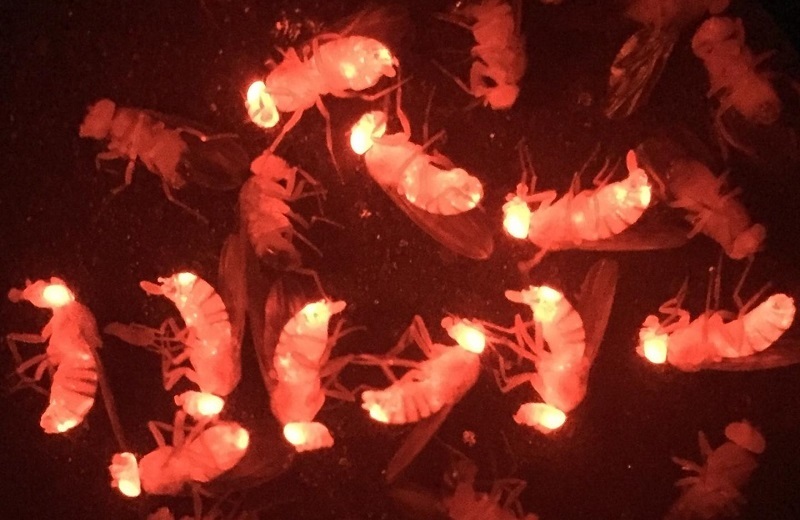 Fruit flies with CRISPR gene drive carrying a red fluorescent protein as a marker. Credit: Jackson Champer CC-BY. Gene drive is getting better all the time. Up until now, researchers using the gene drive technique have been stymied by the problem of resistance. Researchers who studied the classical gene drive technique have predicted that the process will be derailed by the development of mutations that resist the gene drive. That changed this summer when researchers at UC Berkeley and UC Riverside found a way to overcome the problem of resistance. In an article published in the journal Nature Scientific Reports, the UC researchers showed how they improved the gene drive technique, bringing us closer to suppressing disease-causing mosquitoes on a continental scale. The UC researchers improved the gene drive system by adding a twist called multiplexing, which involves using a guide RNA – one of the components of the CRISPR system – to target multiple locations in a gene at once. The research team used computer modeling which suggests that the size of the population that could be suppressed by gene drive increases exponentially with the number of guide RNAs utilized. Their model also shows that with four or five multiplexed guide RNAs, they could potentially suppress a mosquito species on a continental scale. The UC researchers demonstrated the multiplexing technology in fruit flies. However, their technique can be easily adapted to Hammond’s mosquitoes. The primary concern with gene drive is that it is irreversible. Once a gene drive equipped organism is let out into the wild, its genes quickly spread into the population. Should there be unintended consequences, the gene drive experts admit that they have no way to reverse the process. However, because gene drives hold a tremendous amount of promise, the NASEM panel encouraged genetic engineers to continue developing the technology. The panel advised that a gene drive modified organism could be tested only under strictly controlled circumstances, such as in a sealed greenhouse or on an isolated island. The team of scientists at the Imperial College of London also acknowledge gene drives could be dangerous. The ICL researchers have taken steps to ensure none of their modified mosquitoes escape and breed with any wild ones until the safety of the approach has been established. The ICL researchers aim to develop a step-by-step testing of the gene drive strategy to minimize any risks. They acknowledge that their work could take years. It is clear that the gene drive technology has developed faster than it’s governing policies. While the technology has matured, the debate over the potential risks and benefits of gene drive is far from over. In the meantime, we have to rely on genetic engineers ‘doing the right thing’ with this powerful technology. 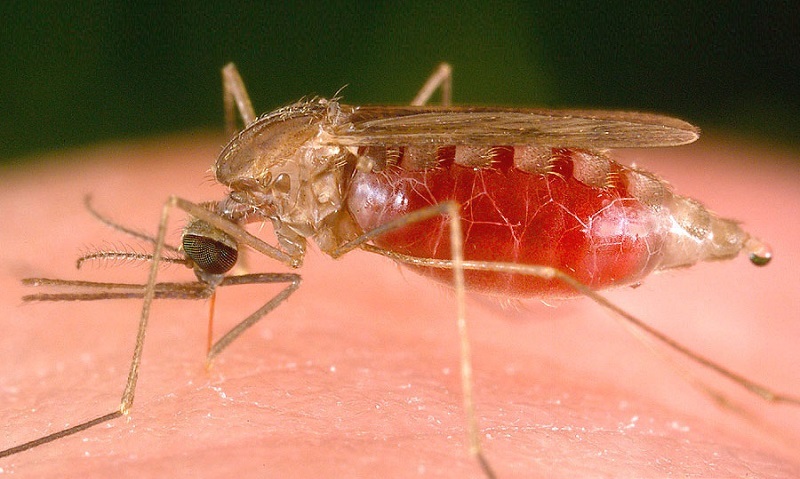 Researchers develop a new delayed-release drug to fight malaria. Watch a video on the Future of Medicine with Nanorobots and Gene Editing. One click helps us spread the word – Share this post on social media and help us spread the word. It only takes one click on any social media link on this page. Tell us what you think – Please scroll down and enter your comments below. Cover Photo: Mosquito modified with a gene that causes their eyes to glow red when illuminated by a laser to tag those with gene drive modification. Image courtesy of Andrew Hammond of Imperial College of London. Genetics Home Reference. “What are genome editing and CRISPR-Cas9?” National Library of Medicine. Web. Retrieved Nov. 16, 2017. Link. Does This Gene Fuel Obesity?